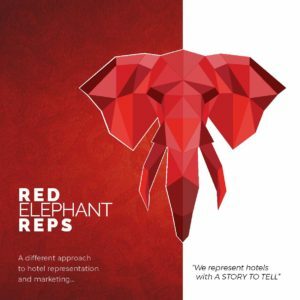 All intellectual property relating to the content on this site belongs to Red Elephant Reps and is protected by copyright and intellectual property laws. By using this site, you obtain no interest in that intellectual property. You are not permitted to do anything which interferes with our intellectual property rights. Certain content on this site (including images) may belong to third parties. The use of third party content on this site shall not be construed as granting any right of use to you without the express written consent of the relevant owner. We do not exclude any rights or remedies under legislation which cannot be excluded, restricted or modified. However, we exclude all other rights, remedies, conditions and warranties in relation to your use of this site. In particular: we do not warrant the accuracy of the information on this site or that it is free from errors or faults; we bear no liability or responsibility to you for any loss or damage you suffer (including hardware or software damage) as a result of your use of this site; and we do not warrant that this site or the server which makes it available are free from viruses or bugs. You indemnify Red Elephant Reps and its directors, officers, employees and agents against any action, claim, loss or expense incurred which arises from or in connection with your use of this site. References to “we”, “our” and “us” in these Terms and Conditions are references to Red Elephant Reps. References to “our site” or “this site” includes any related sites.